Discover our +WR4U and +R4U ribbons for printing and labeling on Flexible Packaging. Designed for high-speed printing and meet the challenges of flexible packaging applications. Ideal for Markem, Video Jet, Linx, Domino, Norwood, Jaguar, Avery Dennison and many other high speed TTO inline printers. Good printing quality; Sharp and Dark image. Excellent scratch and smudge resistant. Capable of high speed printing up to 700 mm / second for inline flexible packaging printing. 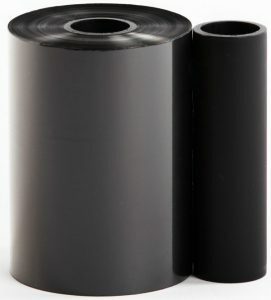 Suitable for printing on wide range of on uncoated and coated packaging films such as Polyester, PP, OPP, Polyethylene and PET. Ribbon with anti-static properties and prime back coating layer to reduce head dust, reduce wear and prolong print-head life.